Happy New Year! The entire month of January is an opportunity for putting resolutions and goals in place, but of course you can do this at any time. Eating right and getting healthy tops the resolution list for people, so why not extend that to your dog, especially if your chubby dog needs to slim down and lose weight? Do you have a skinny cat and a chubby cat? Read this guide to feeding multiple cats and keeping them at a healthy weight. Healthy eating and exercise is just as important for your pets as it is for you! 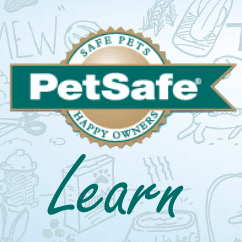 October 8 is National Pet Obesity Awareness Day raising awareness on pet weight issues. Getting in shape is tough! I'm lucky to have a great workout partner. If you're hoping to get your pet in better shape, the Gentle Leader Headcollar is a great place to start!